There are parents who if their children were hungry would give them a stone to eat. There are parents who think that providing for their children means looking after them like animals eg. giving them shelter and food. Such parents see their offspring as burdens and the whole of their childrens’ lives are blighted due a distinct lack of love. Hard hearts are aplenty in the weird (and less wonderful) world of parenting. Some people are just incapable of it and perhaps society is starting to understand as legislation in the UK is making emotional abuse a criminal act. Too little, too late is my take on the naievete of law makers who believe that emotional pain was ever absent from physical and sexual abuses to children. The game plan for an abuser is to destroy a child’s self esteem and this is done in several ways. The most basic and cruel way is to not be tactile and affectionate. There are no hugs, kisses or kindnesses so grains of fear and mistrust are planted in an innocent heart. The child, whose emotional circuitry is set by the age of five, then sees himself as unlovable and displays these symptoms in a myriad of ways. Some become withdrawn , some become boisterous and some are at the start of their bi-polar journey from which they don’t often recover. Emotional abuse compromises the full development of a child’s intellectual abilities. A child who receives little or no loving attention will not value themselves enough to succeed at school. They already suffer from feelings of inadequacy and despondency so what’s the point of trying to be good at anything? Prisons are full of felons with low academic ability and there’s a direct correlation between a lack of parental interest and becoming a societal cause for concern. Parents need to take a long hard look at themselves. They need help and certainly every parent should be compelled to take a parenting courses to understand the proper care and feeding of babies, toddlers, teenagers. A parent needs to know how to feed minds and nourish hearts as this is the only way to create well rounded individuals. The body should not be cosseted at the expense of the mind. Bringing up a child requires inspiration and dedication and to pass on such qualities, parents themselves need to know how. Leaving your child playing for hours on their play station is not the way to do it. Allowing children to spend hours holed up in their bedrooms on mobile phones/social media is not the way to do it. Trying to be your child’s friend and giving in to every childish demand is not the way to do it. Not showing your child that there are rewards/consequences for good/poor behaviour is not the way to do it. Being a weak role model is not the way to do it. Not saying “no” to your child because you fear them is not the way to do it. Parenting takes perspiration and if you want to reduce your body odour then keep a check on your baby-making equipment. Take precautions, be selfish and leave parenting to those energetic souls who can take the heat and stay in the kitchen. Not everyone is cut out for parenting just as not everyone is cut out for space exploration! If we don’t apply strict controls on who sign up for parenting then we are going to have to deal with the aftermath and that means an ever increasing prison population. We don’t need to build more prisons if we build better parents. If the hand that rocks the cradle rules the world then the cradle’s contents has seen the fist and suffered the effects of bruises and black eyes. Young hearts stained with neglect and pain develop into young adulthood making poor life choices. The girl who marries to get away from her parents only to find that she’s married a man in a similar vein. The boy who gets into the grip of substance addiction or indulges in abuse himself since he doesn’t want to or can’t do any better. Low ambition and insecurity dog the footsteps of the unloved. A law to out emotional abusers is too little and too late for those of us who now purporting to be effective role models, pillars of the community and politicians. The law must not only dole out suitable punishments to abusers but supporting the victims is even more critical. Hard hearts can’t be changed by law but bringing them to book might make them think. Schools, doctors and the police must lead the crusade for better treatment of children by paying attention to anti-social behaviour. Many a teacher can also abuse and the government must root out those who are not fit for purpose. Hard hearts beget hard times and that’s not good enough for any child. A child’s heart is marshmallow soft and spirit even more fragile. 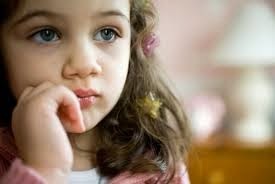 A child cannot make sense of the environment its born into and is prone to emotional disturbance. If a child lives without emotional protection then every fairy story is a lie because there is no triumph over evil and certainly no happy-ever-after. Money is the route to all happiness!